Alpha & Omega Independent Car Repair offers drivers in the Boulder area high quality, affordable automotive computer diagnostics and electrical repair services. As a licensed and insured auto shop with over 36 years of car repair experience, we are fully qualified to work on any electrical system for a full range of foreign and domestic cars, trucks, and SUVs, and have advanced training in diagnosing and repairing full electric and hybrid vehicles. We're also an Since 1977 we've worked on more than 100,000 vehicles and become known for our honest advice, reliable workmanship, and fair prices. As part of our commitment to quality and consistency, we offer a 3-year warranty on parts and labor for most of our repairs and services. Whether you need a starter or charging system repair on your Subaru, a new car battery for your Volkswagen Jetta, or codes read from your Toyota's computer system, our experienced technicians have the skills and expertise to get the job done right, the first time. Our lead mechanic is an ASE-Certified Master Tech with over three decades of experience. 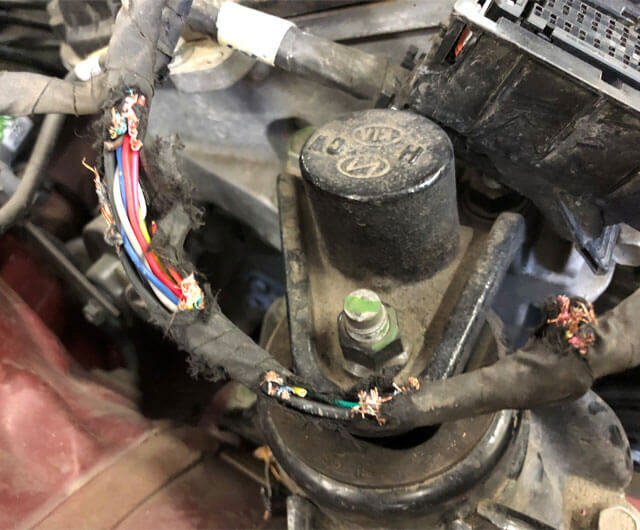 He and his exceptional staff use the latest state-of-the-art diagnostic equipment to precisely assess the cause of a vehicle's failed electrical component. Because our number one priority is the safety, longevity, and efficiency of your vehicle, we prefer to use genuine Original Equipment Manufacturer (OEM) parts on most repairs; however, we can also install premium-grade aftermarket parts if necessary. Call or visit us today to schedule an automotive electrical repair or a complimentary visual inspection. At Alpha & Omega Independent Car Repair, we pride ourselves on our honesty, and will always be upfront about any problems we find on your vehicle. We are dedicated to helping our customers arrive at solutions that fit their needs and budget, and offer fast turnaround times. We are conveniently located near Louisville, Broomfield, and LaFayette, and offer a courtesy shuttle service within Boulder's city limits. After hours drop-off and pick-up services can also be arranged upon request.